It’s a new year for your fundraising efforts. One of your goals might be to recruit some new donors to your organization. And some of the ways you can find new donors is to buy or rent a list. I have an opinion about this type of fundraising… but, I’m going to try very hard not to give it here. What I will try to do is give you list information, so that you can decide what is best for your organization. A special thank you to Eric Buwala from Rapid Mailing Services. He gave me a ton of great information to add, and you’ll see his input throughout the blog. When renting a list, the mail house or data source owns the names on it and you do not ever see them unless they respond. Buying a list gives you the names and the ability to contact them as much as you want. According to Eric, you should never buy a list. Quality lists are continuously updated, so if someone is trying to sell you a list, they’ve probably sold that same list to a lot of other organizations and might not have updated information. However, renting means that the owner updates it using the Coding Accuracy Support System (CASS) or the National Change of Address (NCOA) Database and can usually guarantee at least 98 percent accuracy (which mean 9,800 out 10,000 records are correct and delivered to the right people). We all know that direct mail is still the best way to raise money. An email list, however, will be cheaper to buy and it will also be cheaper to send, since you aren’t printing and paying postage. Still, a note of caution – most email software (Constant Contact, MailChimp, etc.) have clauses against spamming, and your account will be probably be shut down. A saturation mailing is going to be sent to every address in a particular area or route. This would be like receiving a postcard for a new restaurant opening in your area. Every person in your zip code receives the same thing. A targeted mailing allows you to choose your audience based on a number of factors. A saturation mailing can get you the lowest postage amount available, but it may not be hitting your donor demographic. When you contact your mail house or list compiler, they can give you the specifics of what they offer and give you an idea of areas to consider. 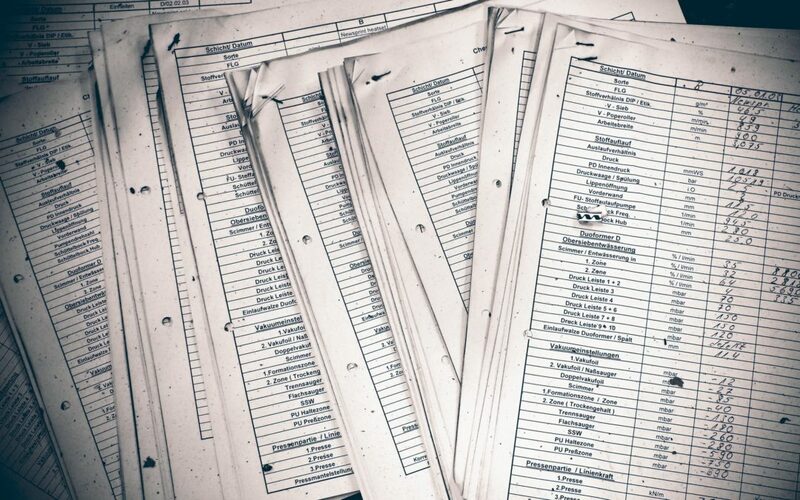 According to Eric, most major lists have more than 280 different criteria they can be sorted by. You can choose everything from people holding a special license (LPN, M.D. ), people with specific hobbies or interests, people with specific medical conditions and many others to get the list that would be best for your organization. Where do the lists come from? List brokers create their lists based on criteria collected regarding people’s habits. Government records, telephone directories, tax records, event attendee lists, warranty cards, mortgage databases, business records, credit bureaus, magazine subscriptions, surveys, etc. are all materials and places that collect information about people. Then, that information is used to market to those individuals. Basically, they aggregate what people are interested in and break them down into usable pieces of information. For instance, if your charity supports pets and pet adoptions, you may want to target women between 30 and 50 years old, who have purchased a dog license in their county, own a home and currently give money to a shelter. Still, you are rolling the dice on this person wanting to support your organization just based on the fact that they might own a dog and have given to a shelter in the past. When you are looking at a purchased list, you need to take into account budget and follow-up. How much are you willing to spend for the list itself, adding in postage, design, printing and staff time? Eric says that whoever is selling you the list may want to see the artwork of the piece before they agree to rent you a list. You might think that trying a postcard or some other low-cost approach may be the best route. But, think of it from their perspective. These people may have never heard of your organization and you are paying money to send them a postcard in hopes of getting them to be so interested in you that they read it, go online to your website, find out how to make a donation to you and then give. That better be one magical postcard! The other important piece of this is follow-up. Again, you are trying to convince these people to get involved in your organization. You are going to need to contact them more than once, and probably more than twice, to grab their attention. Take some time to really think about what those mailings look like and how best to get your story across. What can I expect to raise? A mailing like this can average between .5 and 1 percent return – which means, on a list of 10,000 names, you can expect to hear back from between 50 and 100 people. If the average gift is $25, you’ve made somewhere between $1,250 and $2,500. As a fundraiser, you are always looking for new people to support your organization. Using a rented list may be a great solution – and it may not. Do your research, work with a reputable company and make the best decision on whether or not mailing to a rented list is worth it to reach your goals. Need additional fundraising consulting? Contact us at [email protected] or at 330.247.2180.